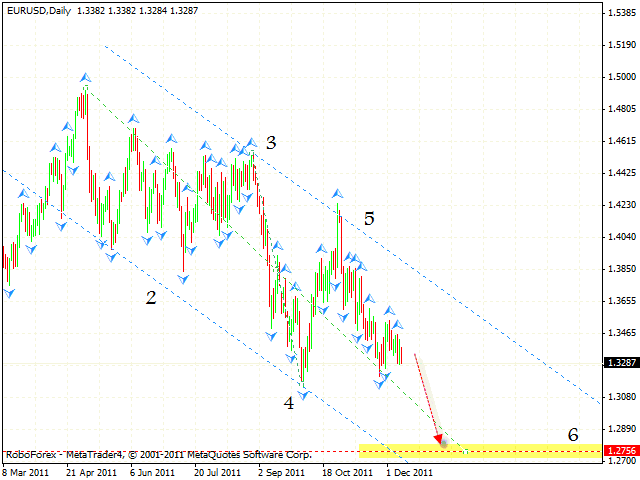 The EUR/USD currency pair continues moving downwards, the target of the descending pattern is the area of 1.2756. One can consider selling the pair and hold short positions. If the price grows higher than 1.3500, this case scenario will be cancelled. At the H4 chart the pair is also moving inside the descending channel, and is currently testing the channel’s upper border, we should expect it to rebound from the border and start moving downwards with the target in the area of 1.2815. 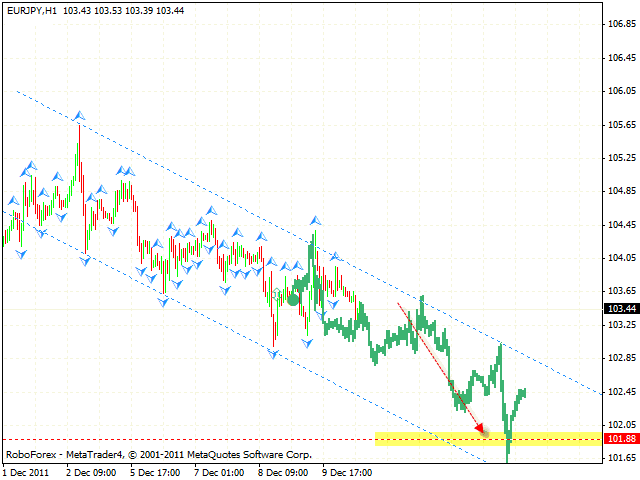 If the price breaks the channel’s upper border, ерыcase scenario will be cancelled. 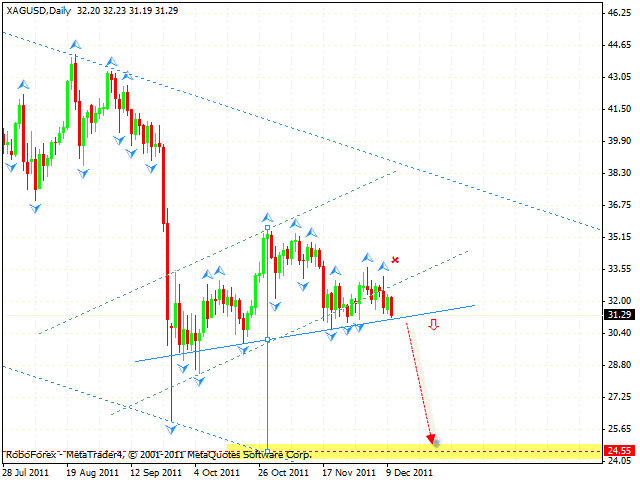 At shorter time frames we can see the formation of the descending pattern with the target at the level of 1.3190. 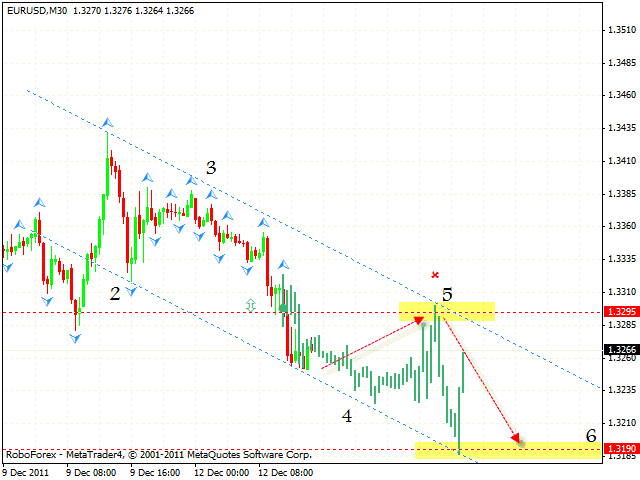 We should expect the price to test the channel’s lower border in the area of 1.3210. 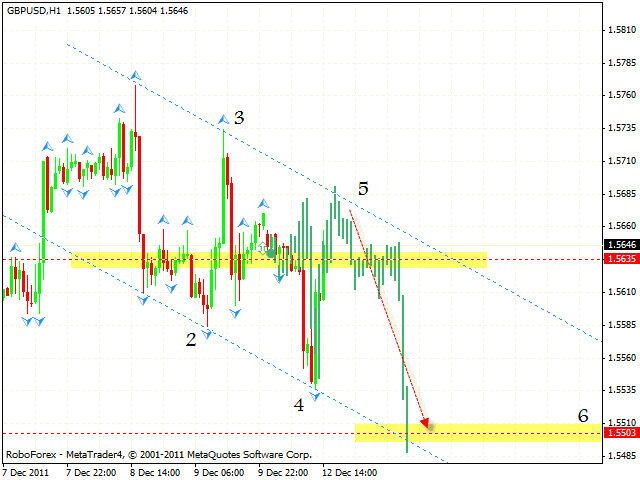 One can consider selling the pair near the channel’s upper border in the area of 1.3295. 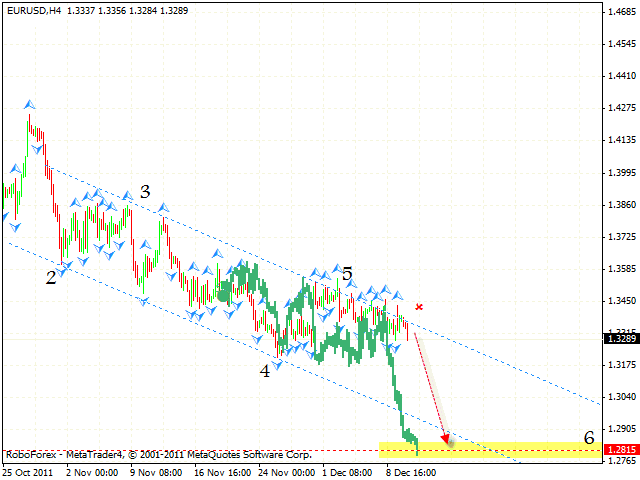 The stop must be placed above 1.3320. 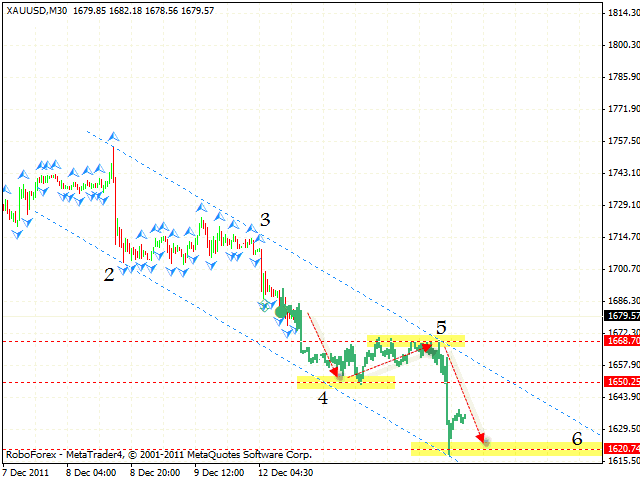 At the H1 chart of the pair we can see the formation of the descending pattern with the target in the area of 1.5503. By the moment the price has reached the area of the 5th pivot point, where one can try to sell the GBP/USD currency pair with the stop above 1.5685. If the price leaves the channel, this case scenario will be cancelled. At the weekly chart of the USD/RUR currency pair we have “failure swing” reversal pattern forming at the RSI with the final target in the area of 29.77. 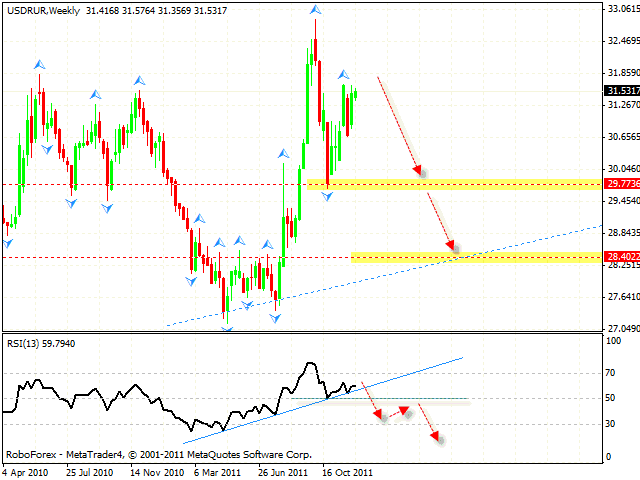 In case the trend’s descending line at the RSI is broken, we can expect the pair to fall down to the level of 28.40. If the RSI indicator grows higher than 70, this case scenario will be cancelled. The EUR/JPY currency pair keeps falling down inside the descending channel, we should expect it to continue moving downwards with the target in the area of 101.88. One can consider selling the pair with the tight stop. If the price breaks the upper border and leaves the channel, this case scenario will be cancelled. Gold is moving according to the forecast, and currently we can see the formation of the descending symmetrical pattern with the target in the area of 1620. The closest target of the fall is the level of 1650, which is expected to be a starting point of the correction to the channel’s upper border. One can consider selling the instrument with the tight stop near the level of 1668. Silver continues moving inside “head & shoulders” reversal pattern, the target of the fall is the area of 24.55. One can consider aggressive sales of the instrument with the stop above 33.55 and increase the amount of short positions only after the price breaks the neckline.